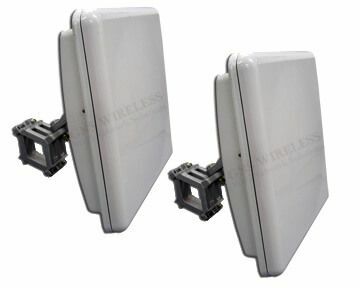 This 900MHz Point to Point Wireless Bridge includes a pair of outdoor access points, that have an integrated 12dBi directional patch antenna built into the enclosure. This means that only a single, small enclosure is required at each location. Once the AP's are installed at each location, the Wireless Bridge operates as a transparent bridge, and will pass all network traffic between your two locations. The Wireless Bridge operates similar to an invisible Ethernet cable connecting your two locations. Each antenna has a beam width of about 40°, so aligning the antennas is easy. Furthermore, you will have the ability to view real time signal strength, link quality, and noise level, using the web based configuration. Each AP has a static IP address, used strictly for web based configuration, and troubleshooting. At the MAIN location, you will typically connect to an open LAN port on the back of your existing router, or switch. At the REMOTE location, you can connect either directly to a PC if you only have a single computer, or you can connect to an indoor wired/wireless router. This will allow you to run multiple computers over the wireless bridge. With clear, un-obstructed line of sight between your two locations, a maximum range of 1 mile can be achieved using this link. When trees are present between your two locations, maximum distance is estimated at 1/4 mile. (Please note that exact distance with obstruction may depend on external interference) Please note that because this Point to Point Wireless Bridge operates at 900MHz, external interference from other cellular networks may slow down the transmission speed of the link, and even cause dropouts. 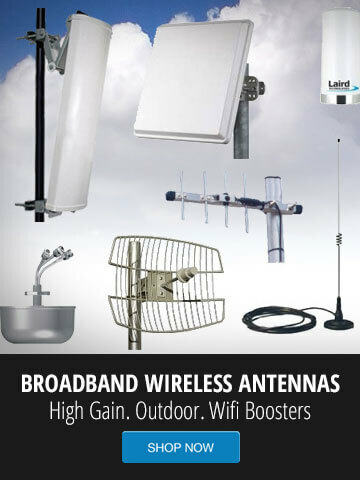 To avoid interference between the Point to Point Wireless Bridge, and indoor wireless routers, or access points that may be present at each of your locations, you want to install the antennas as high as possible, and avoid as much obstruction as possible. Each access point has a 27dBm maximum output power. This works great for long distance Point-to-Point applications, as well as Client applications. Power can be scaled back for closer installations to avoid noise issues and to meet local regulatory requirements. This Wireless Point to Point bridge operates as a transparent bridge. 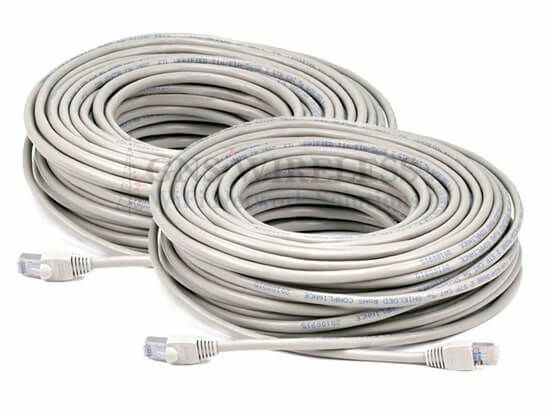 It is similar to an invisible Ethernet cable connecting your two locations. It includes multiple security options including WEP/WPA/WPA2. It also has ability to enable MAC address authentication so that only the two access points are able communicate. You can hide the network SSID, and because the beam width of the antennas is directional, (about 40°) the signal is not being broadcasted in all directions, only in the direction you aim the outdoor antenna.